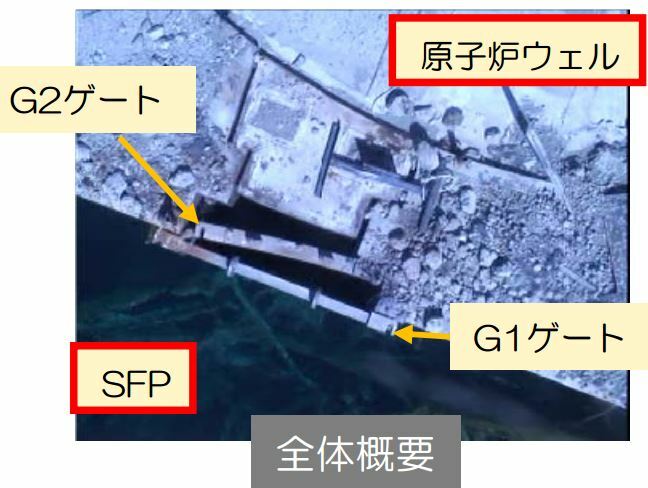 The unit 3 spent fuel pool gate was inspected further after concerns that the fuel handling crane could have damaged the gate. The inspections produced a number of photos of the condition of the gates. This overhead view shows the two gates for the spent fuel pool along with the concrete reactor cover from above. 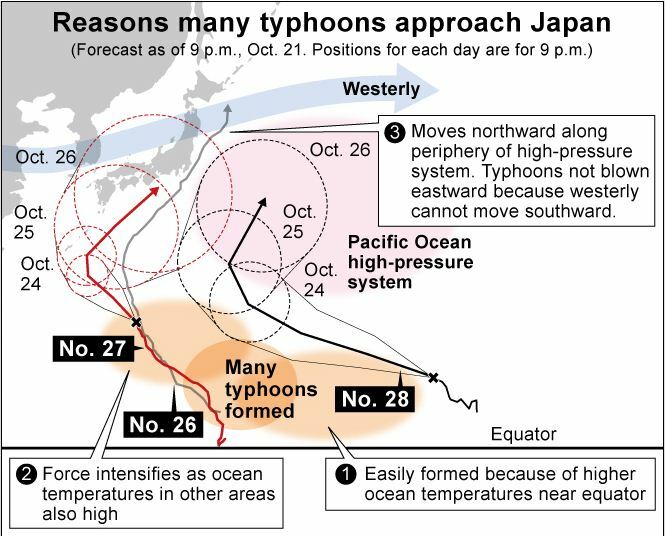 The G2 gate is clearly dislodged from the normal position. 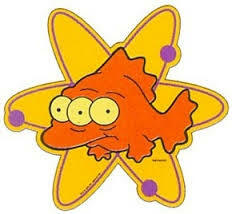 This could have been the result of the blast during the meltdown. 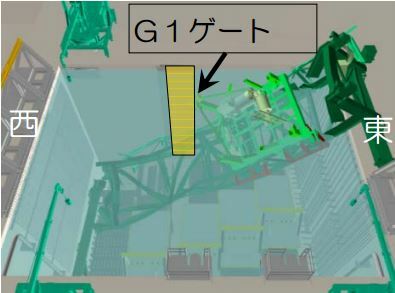 The G1 gate facing the spent fuel pool appears to be in proper position. 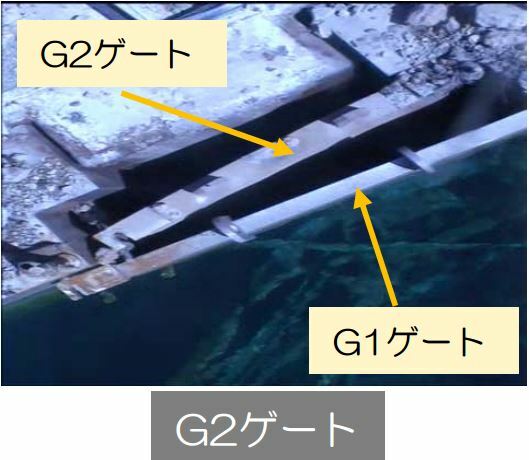 The G1 gate where it connects to the spent fuel pool, the dislodged G2 gate can be seen in the left side photo A closer overhead view shows the two gates. The G2 gate appears it may be slightly bent. 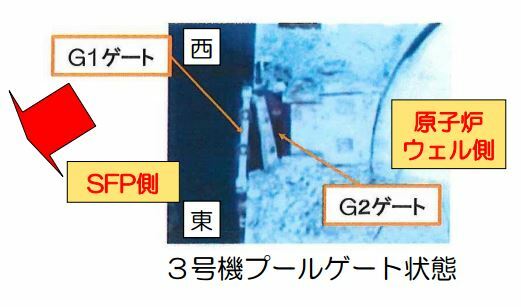 A closer look at the face of the G1 gate Another view of the two gates 3D image from TEPCO shows the G1 gate vs. the fuel handling crane in the pool In TEPCO’s report they explain that the fuel handling crane is not in direct contact with the gate but a large piece of steel is. 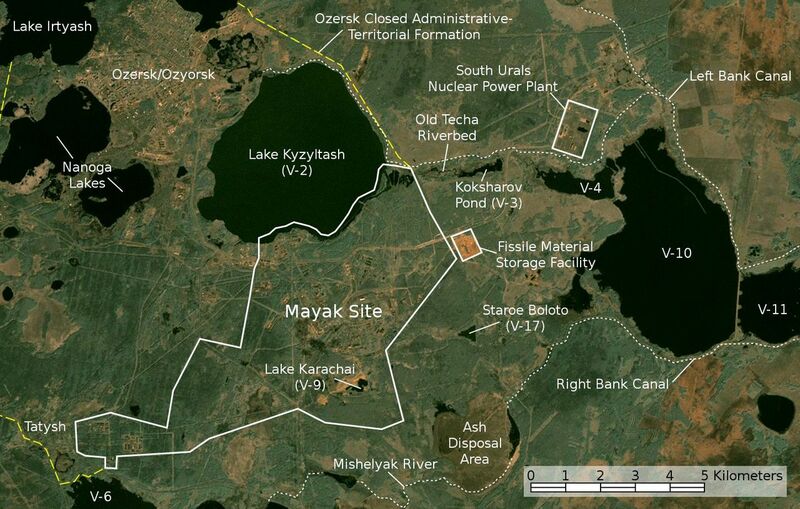 The beige marked section indicates where the steel is in contact with the gate. 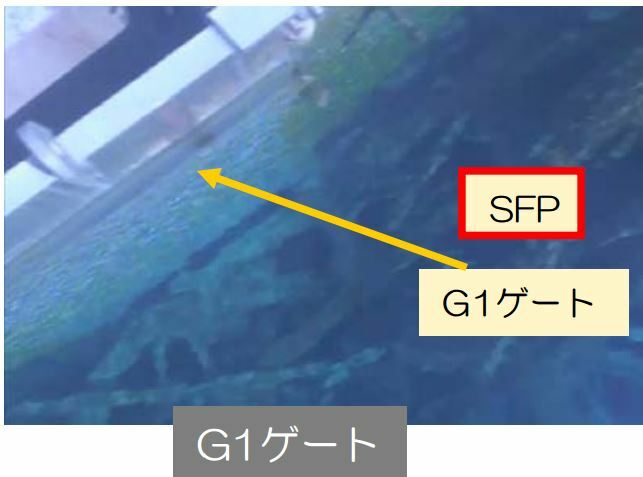 TEPCO has not noticed any significant water leakage from the spent fuel pool and was not able to inspect all of the mounting hooks for the gate door. The upper portion appeared to still be in contact with the rubber sealing gaskets.